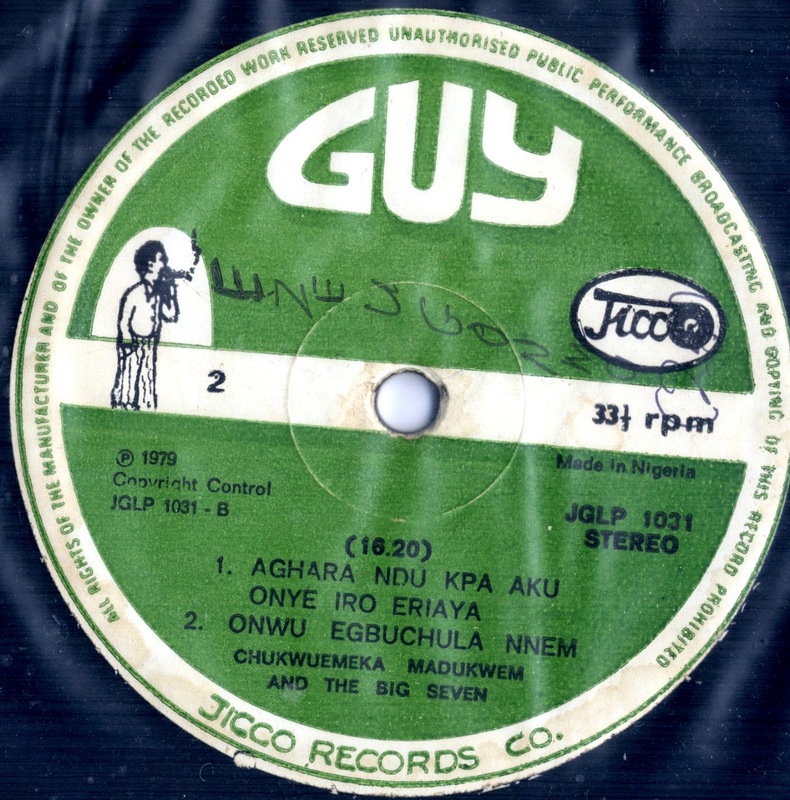 For the next selection on the Highlife Turntable I have selected the track Onwu Egbuchula Nnem by Chukwuemeka Madukwem and the Big Seven. I do not know anything about the performer, but the song is off a 1979 Jicco Records Release. The tune is pretty simple, but the vocals and horn solos give the song a nice laid back quality. Nothing fancy, but clean and straightforward. I've been listening to the song the last couple of weeks and thought I'd share it. I hope you like it. Let me know if you know anything about the performer or the style of music.